Join us at Grand Sierra Resort and Casino for one of our exciting casino game events and you could our next lucky winner! Imagine holding that big check, adding all that free play to your Club Grand card, or even claiming the keys to a new car… You know what they say, you have to be in it to win it. Check out our calendar of upcoming casino events and get ready to play, grand style. Join us on Saturdays and Sundays in April for drawing excitement and a $10,000 Grand Prize! Pick-a-Prize, Spell & Win, and Weekly Drawings. Margaritas and slot tournament fun. Win a trip for two to Del Mar! Low risk, fast paced fun. Can you beat the dealer to 21? Feeling lucky? 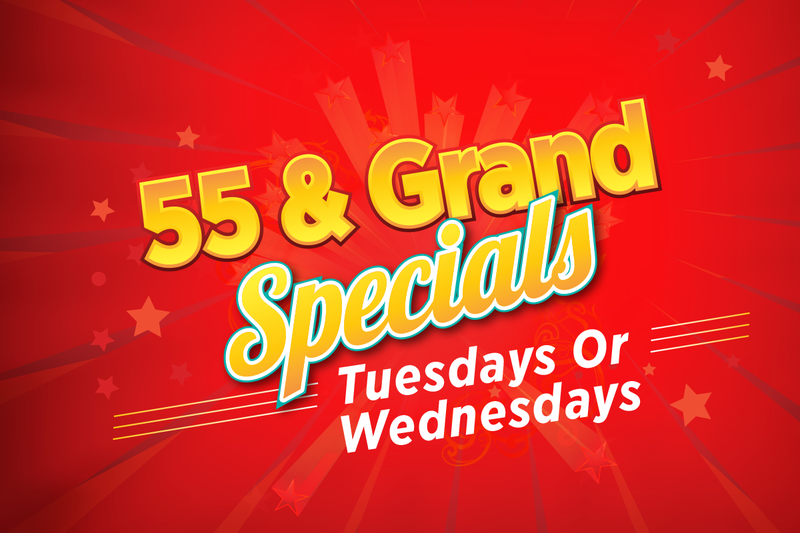 Come and join our weekly $5,000 Lucky Slot tournament. Club Grand members who are 55-years and older receive exclusive benefits all day. Earn between 2x-14x the points every Thursday. The more you play the more you earn!